York University’s Department of Theatre offers a 360 degree view of the world of theatre, with degree programs in Theatre leading to a Specialized Honours BA Theatre-Theatre Studies, Specialized Honours BFA Theatre-Production, Specialized Honours BFA Theatre-Acting or Bachelor of Arts (BA). All students who enter the Department come in as Specialized Honours BA Theatre-Theatre Studies students, and do a General First Year that introduces them to all aspects of Theatre, including Acting, Production/Design, and Performance Creation & Research. At the end of first year, students choose their path in our Next Steps process in order to enter Performance Creation & Research, Devised Theatre, Playwriting & New Play Dramaturgy, Production/Design, and Acting. Students concentrating in studio work (Acting or Production/Design) graduate with a Specialized Honours BFA Theatre degree. Those concentrating in Performance Creation & Research (Devised Theatre, Playwriting, History, Theory and Criticism) graduate with a Specialized Honours BA Theatre degree. Students may also choose to complete at least 90 credits and graduate with a BA degree. 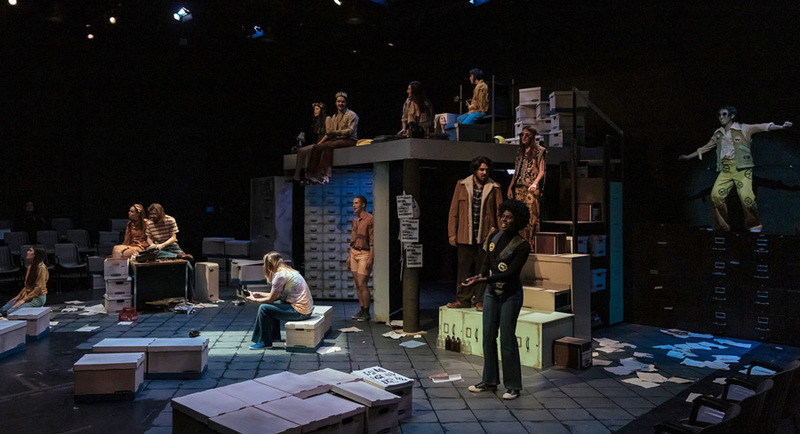 For complete information on each of the specific undergraduate programs in the Department of Theatre, and the course requirements, see the University Academic Calendar for Theatre. Introduces the principles, processes and skills of acting for the stage. Students will rehearse and perform a variety of class presentations, and actively participate in warm-ups, theatre games and acting exercises. A practical studio course with a strong written component to the curriculum. Required of all first-year theatre majors. Open only to theatre majors. Corequisites: FA/THEA 1100 3.00 and FA/THEA 1200 6.00. Note: A minimum of two rehearsal hours per week may be required. Introduces the fundamentals and vocabulary of design, lighting and stagecraft (in any given year this could include sound, props, paint etc.). Corequisites: FA/THEA 1010 3.00, FA/THEA 1200 6.00. Course credit exclusion: FA/THEA 1100 6.00, FA/DANC 1270 3.00. Note: Open to theatre majors only. Note: Evening and/or weekend crew work on department productions is required, as well as lab hours. An introductory course in voice and speech for effective communication. Exercises and practical applications in a variety of speaking contexts focus on vocal function, breath, resonance, articulation and coping with performance stress. Intended for third-year students working in acting, or in assistant directing mounted or unmounted department productions in the fall term. This course offers an intensive opportunity to develop and improve skills in the creation of workshop productions. Prerequisites: FA/THEA 2021 3.00 or FA/THEA 2051 3.00 and/or permission of the department. Open to majors only. Explores the intensive application and further development of work begun in Lighting Design I. Meets for the full academic year. Prerequisites: FA/THEA 3131 3.00, FA/THEA 3145 3.00 or permission of the Theatre Department.